Foot care toe spacers, also called toe separators or spreaders, are products that wrap around and between your toes with the intent to straighten and separate the toes. 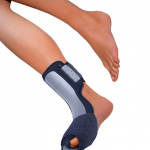 They are designed to provide long-term improvement in foot health. Toe separators/spacers are simple devices that come in a couple different forms: socks with individual support for each toe and gel, foam, or plastic molds. Mold-type products tend to provide the greatest therapeutic value. 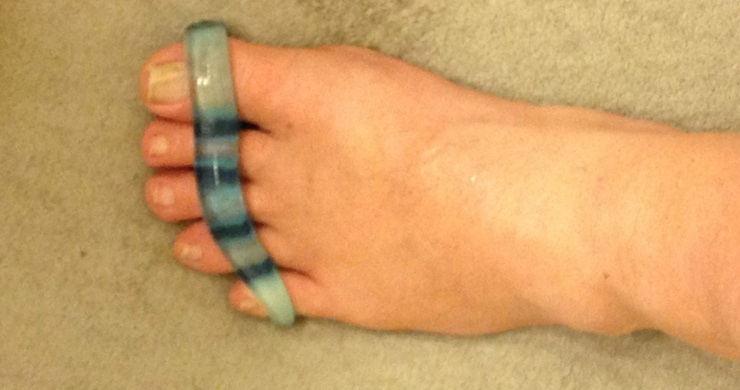 The ZenToze Toe Separator product from Lemon Hero is made from a cool and flexible silicone gel. This gel toe separators product has a hole for each toe, fitting between and around your toes. It comes in two sizes: medium, for smaller foot size and first-time users, and large, for feet of shoe size 9 and above. Shipping weight is a mere 2.4 ounces. The intent of these products is to spread your toes. To accomplish this, they should be worn as close to the base of the toes (where your toes meet your foot) as possible. This will spread your toes into a more natural position. To better understand this dynamic, see What is Plantar Fasciosis? THE SHOES WE WEAR – We often wear shoes that squeeze our toes and misalign the natural positioning of our feet. For example, shoes with tapered toe boxes may lead to overlapping toes or toes that continually rub together. The result is tired, sore feet at the end of each day and possibly additional irritation from toes rubbing on each other. STRESS ON OUR FEET – Many people have to spend too much time standing each day. This stresses the muscles in their feet and can lead to painful foot problems. PROBLEMATIC FOOT CONDITIONS – Due to diet and other physical problems, many individuals develop foot conditions that result in significant pain and/or discomfort. Plantar fasciitis is one of these conditions, of course. Considering the long-term effects, prolonged strain and stress on your feet will lead to tightened ligaments and muscles in your legs and feet. The result? 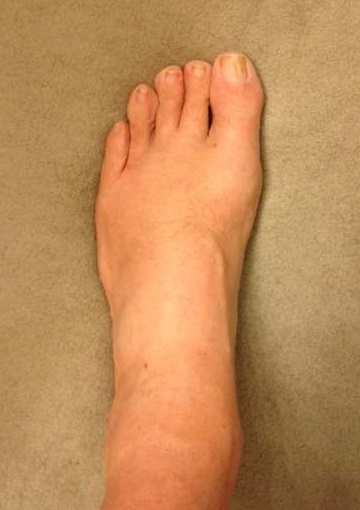 Misaligned toes and feet, out of their normal position. 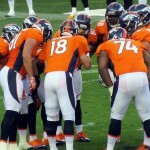 Further compounding the problem, minor changes to the alignment of your feet can lead to a change in the way you walk. If you’ve ever suffered with leg, ankle, or foot problems, you know what that means. Changing how you walk can eventually lead to back and/or hip problems. Honestly, my feet are not very nice looking. I am a senior and am diabetic, which has made my feet uglier than normal. Also, my toes are long and skinny, so they look more like fingers than normal-looking toes. Regardless, I am showing you a couple pictures of my feet! I started using the ZenToze toe spacers because my toes were very crowded and misshapen due to wearing normal hard-soled dress shoes almost every day for 60 years. In fact, my toes were so bad that my little toe even overlapped the toe next to it to a degree. Both my big and little toes were slanted inward due to the tapered toe boxes found on common dress shoes. Having read about toe separators, I was interested in answering the question: Do toe straighteners work? Would this product help separate and straighten my toes and eventually bring them back to proper alignment? So, per the instructions provided, I started out cautiously, wearing the toe spacers every night for only a few hours. After two weeks at this pace I started to see a little bit of separation between my toes. It also looked like my big toe was straightening out a little. Having utilized this product for only two weeks to this point, I recognize that it will take a while to overcome the many years of foot abuse. Over time, toe separators help spread your toes apart, gently pushing them back toward their normal position. In doing so, the separators help relieve foot pain and stiffness. They can also help improve your posture and your balance. If your toes rub or overlap, pushing them apart also helps relieve any irritation that may exist. Temporary relief from the irritation can be the beginning of the healing process. To put it briefly – toe separators foster increased circulation while helping to relax and strengthen your toes. Have you ever had a foot massage where the massager rubbed, pulled and stretched your toes to help relieve the tension in your feet? To some degree, the ZenToze Toe Separator product does the same thing. It stretches your toes apart and the gel-based form gently moves across and around your toes, providing a small amount of massage as you move. I found the product comfortable to wear, which is good, because it can take a while to adjust to having them on your feet, especially if you walk with them on. At least it did for me! They are very soft and pliable so they don’t hurt my feet at all. Plus, they are very simple to use – just slide them over your toes. As noted in the instructions that come with the product, a little moisture can help with this process. In my case, my toes are so misshapen that I have to push my last couple toes outward to get them to fit into the holes of the product. It actually feels good to have them spread out a bit, though. As far as durability goes, the item seems very strong. Assuming one does not abuse the item it should last for a good long time. Molded toe separators are not intended for use with shoes. They simply are too bulky. When you wear them, do so in an environment where you can relax your feet. Since molded separators are relatively thick and provide significant stretch to your toes you should begin by using them for short periods of time and build up to longer periods. 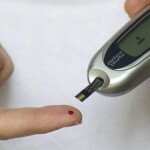 Diabetics or anyone with a foot skin condition should consult their doctor before using this product, just to ensure it will not cause a negative reaction. Of 62 product reviews found on Amazon the average rating was 4.8 out of 5 stars. In fact, 87% of all respondents gave the Lemon Hero Toe Separators a 5 out of 5 stars rating! So, what were the biggest positive points? Great customer support from Lemon Hero. They are uncomfortable at first. Personally, after just two weeks, I can say that I have been very satisfied with the comfort and the results to this point. My product rating of 9 out of 10 is due to the fact that it performs as advertised, is comfortable, and inexpensive. Note that Lemon Hero never claims that this product will heal serious foot problems. Always consult your personal doctor or a specialist if you have significant problems with your feet. 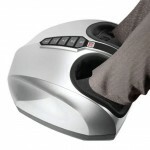 In addition to using a product such as this one you should be exercising your feet. This site is dedicated to sharing exercises for your toes, feet, and legs, along with information about various treatments that can help repair and strengthen your feet. Develop a regular routine to help your feet and avoid future issues. As always, I invite your comments and feedback. Have you ever used a product like this? Were you satisfied with the results? Please use the comment area below to provide your feedback. Just a heads up. I was provided a sample of this product at no cost in return for promising to provide an honest assessment and review. It is possible that I could make a small commission on this product if you were to purchase it based on this review. Before making any purchase you should always rely on your own judgement and do your own due diligence. The results you get will be entirely based on your own experience and skill set. There is no guarantee that you will have the same success with this product as I did.